Monumental is the story of America's beginnings. Presented, produced, and starring Kirk Cameron, the 90-minute true story follows this father of six across Europe and the US as he seeks to discover America's true "national treasure" - the people, places, and principles that made America the freest, most prosperous, and generous nation the world has ever known. 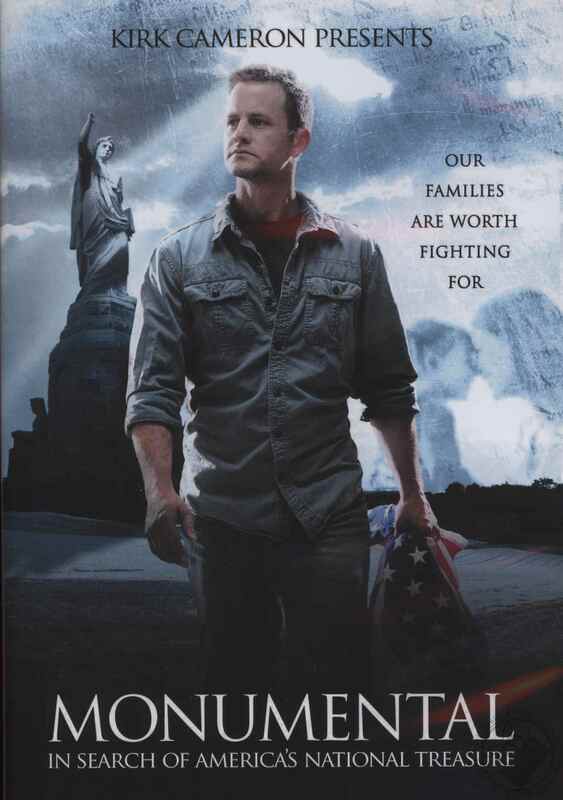 Kirk Cameron is a television and film actor, noted recently for his work in the inspirational film, Fireproof. He is also known for his memorable roles on ABC's Growing Pains, the Left Behind movies, and co-host of The Way of the Master televesion series. Kirk spends much of his time producing new television and film projects and speaking to people around the country, teaching them how to share their faith and live out a gospel centered marriage and family. Kirk and his wife Chelsea are the founders of Camp Firefly, a camp for seriously ill children and their families. Together, they live in California with their six children.